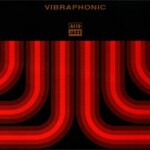 Vibraphonic was formed in 1990 when a track was commissioned by Acid Jazz Records. “I See You” was released on a compilation called “Totally Wired 6” in June 1990. This was so successful that a second track, “Believe In Me” was released on “Totally Wired 7” in November 1990. “I See You” was also released on 2 compilations & as a single in the USA. 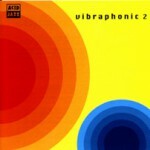 The first album – also on Acid Jazz – “Vibraphonic” was released in 1993. A single “Trust Me” featuring Alison Limerick was also released at the same time. The album was released worldwide & sold over 12,000 copies. 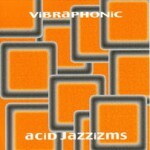 Acid Jazz released a second album – “Vibraphonic 2” in 1995 which was very successful in the USA. One track -“Can’t Get Enough” was a hit in the USA staying at No 1 on the Adult Contemporary chart of trade magazine “Radio & Record” for 4 weeks. At its peak it was being played on 52 of the 53 stations that supply the chart. 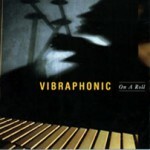 “Vibraphonic 2” sold over 20,000 copies worldwide, 10,000 of those in the USA. 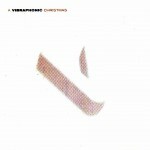 In 1996 Vibraphonic signed to US company Hollywood Records & released 2 albums – “A Vibraphonic Christmas” (1996) & “On A Roll” (1997). Both albums picked up substantial radio play in the US but unfortunately were only available in North America. The line up of the band has changed very little from the beginning & includes Tony Remy on guitar, Nick Cohen on bass, Alison Limerick & Lennox Cameron on vocals, Pete Lewinson or Frank Tontoh on drums & Mark Lockheart on tenor & soprano sax. Various tracks from all the albums have appeared on numerous compilations & have had regular radio & club plays & at least 3 tracks have been used as theme tunes or incidental music for TV & radio. The fifth album “Acid Jazzizms” was released on StayTuned Records Sept 2000. Unfortunately it was unable to get a US release but the album has picked up much radio play on London’s Jazz FM. The reviews have been good too. Featuring all the usual suspects, it's full of slick grooves, soul vocals and scorching solos. Hollywood Records in the USA only. Features US radio hits "On a Roll" and "Nothing Comes Close". Released in 1996 and every christmas since (in the US only). Features US radio hits "In The Bleak Midwinter" and "Someday at Christmas"
Released worldwide in 1995 on Acid Jazz Records. Features the US radio hit "Can't Get Enough". Released worldwide in 1993 on Acid Jazz Records. Features club hits "I See You" and "The Bounce".